Hamza Khan is a multi-award winning marketer & entrepreneur. 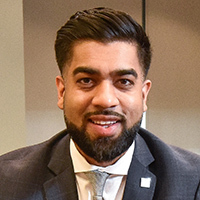 He’s the Managing Director of Student Life Network, Canada’s most comprehensive resource hub dedicated to helping and empowering millions of students across the country. He co-founded both Splash Effect, a boutique marketing & creative agency, as well as SkillsCamp, a soft skills training company. He is the author of an Amazon bestselling book, “The Burnout Gamble.” From TEDx stages and national conferences to MBA classrooms and Fortune 500 boardrooms, Hamza is regularly invited to deliver keynotes and workshops around the world. 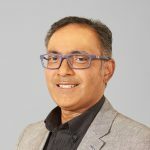 He is a faculty member at Seneca College and Ryerson University, teaching courses on digital marketing and social media. Through his consulting, writing, teaching and speaking, Hamza empowers people and businesses to transform ideas into action. Learn more at www.hamzakhan.ca. Entrepreneur, operator and finance leader. Canadian CPA, CA with a focus on venture-backed startups and early stage tech companies. In between a few stints at PwC, Eugene was the CFO at ThoughtWire for 3 years, where he helped the company scale and led a large $20M debt & Series A financing, and was also the CFO at Healthscreen Solutions for a 2-year period, where he was directly involved in completing two rounds of financing and three acquisitions, helping manage the growth and scale from under $2M in revenue to a run-rate of $20M in two years. Lindsay Colley is a sustainability professional and currently teaches corporate social responsibility at York University and the University of Toronto. She most recently completed the prestigious year-long Action Canada fellowship where she was one of 16 Canadians selected to develop public policy recommendations regarding Canada’s transition to a low-carbon economy. Lindsay has previously worked at Ernst & Young LLP, Tim Hortons Inc. and the Canadian Accountability Board. In addition to her Chartered Accountancy (CPA, CA) designation, Lindsay has a BBA and Certificate of Environmental Management from the University of Toronto, and her Fellow in Board Governance designation. She is currently on the board of Fairtrade Canada and a member of the Social Issues Committee of the Salvation Army Canada & Bermuda Territory. She was previously vice-chair of the Toronto Public Library Board and treasurer of the Canadian Environmental Law Association. A passionate and experienced professional that possesses superior process management skills, leadership expertise, and financial knowledge in capital markets. Over the years, he has immersed in diverse knowledge that span across risk management functions and products that include FX, Interest Rate, Credit, Equity, Metals, Exotic and Structured products. Through various leadership involvement, he has lead and managed TD’s Tier 1 Projects, on time/scope/budget, to meet long term organizational objectives. As the world embraces the cognitive era of computing, Sadi builds the foundations of this journey with IBM Big Data & Analytics Software. He manages a sales team within the Financial Services, Insurance and Public Sectors with some of IBM’s most talented professionals . He was previously also responsible for this mission with the Caribbean, and General Business customer sets (Ontario, Quebec, and Western territories). Graduating from the UTSC Neuroscience program (9T8) was just the first of many exciting things to come. Dennis completed a Master’s Degree in Neurophysiology from the Faculty of Medicine (0T0) downtown. Following that, he pursued a career in Chiropractic, attending the Canadian Memorial Chiropractic College (CMCC). 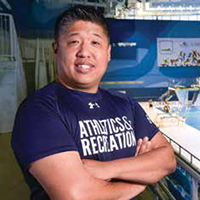 Upon graduating in 2004, it was a natural fit to start his practice in Scarborough, not far from campus. While his practice continues to be a meaningful part of his career, he also a faculty member at CMCC, currently starting his 15th year there. His teaching and research there have introduced him to great opportunities. None the least is the software company he recently started (kodify.ca). This software start-up has been a truly unique opportunity to leverage what he learned from higher-education, and the relationships he has made along the way. Julie is the Regional Operations Manager for the Greater Toronto Area, where she is accountable for providing strategic support on key operational matters, including business planning and management, communications and change management, to achieve the overall business objectives for the Region. Prior to this, Julie graduated from U of T, Scarborough Campus in 1998 with a Bachelor of Science, Honours. Julie has held roles at the Bank of Nova Scotia before completing her Securities Courses and joining BMO Nesbitt Burns in 1999. Other than a role as a Manager in National Sales Support at TD Waterhouse Investment Advice, she has remained with BMO Nesbitt Burns in Compliance roles until becoming the Regional Operations Manager for the GTA in 2014. Justin is a lawyer with substantial education and experience. Justin is a Master of Securities Law graduate from the prestigious Osgoode Hall Law School in Toronto, Canada. He is focused on providing preemptive and cost efficient legal counsel. 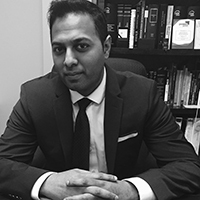 Justin has private and public experience in both Canadian and American courts and law firms. Justin has been before courts in Ontario and New Jersey. Justin has worked with clients in negotiating complex cross border transactions. He has negotiated deals between companies in Canada, United States, and India. He has also conducted complex transactions that involved international business acquisitions. Darrell career spans both private and public financial markets as well as a range of other industries including pharmaceuticals and media. He previously headed global research for the Institutional Limited Partners Association working with global limited partners such as CalPERS and CPPIB. As the global Content Set Lead at Thomson Reuters he interacted with global venture capital and private equity associations from Europe, Australia, Asia the US and Canada. He applies a data-driven mindset to tackle big problems balanced with healthy dose of creativity which has been recently stretched by learning improv. 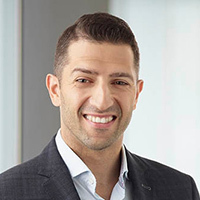 His current role is focussed on improving the Canadian private capital ecosystem and leads a team that publishes quarterly reporting on venture capital and private equity. Pramilla is a passionate serial entrepreneur, global thinker, speaker, social innovation educator and disruptor, mentor and pioneering leader in the development of innovative programs and initiatives designed to foster, inspire and empower the growth of diverse entrepreneurs and changemakers globally. As CEO and Founder of the Community Innovation Lab (ILAB), Pramilla envisioned communities where creativity, passion and determination fuelled economic prosperity and growth. At ILab, she has led the design and implementation of four accelerator/incubator programs to foster community economic development and the empowerment of underrepresented groups – youth at risk, women entrepreneurs, 55+ experiencing ageism and social changemakers. By 2020, 1700 women, youth, senior entrepreneurs and social entrepreneurs at the Community Innovation Lab will benefit from innovative skill development initiatives, access to financing and mentorship to generate job creation and economic prosperity. 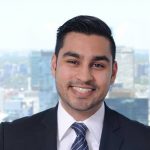 Adam Rodricks is the Senior Manager of Social Media & Community Relations for KPMG in Canada. 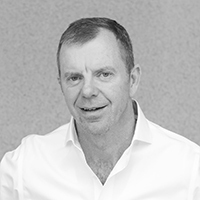 He has been with the firm for 4 years, previously managed or consulted on the social media strategies of such brands as American Express, Toronto Star, Staples, Microsoft to name a few. 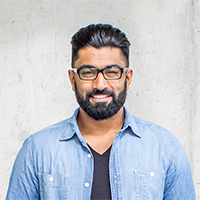 He is a professor at George Brown College teaching Social Media Fundamentals and Online Personal Branding. His work as a social media professional has been featured on CBC, CTV, Yahoo, BNN, DigitalJournal.com, MaximumPC, WhatCulture.com, staples.com, Nintendo.ca. He also named 2-time “Top 30 Under 30 Canadian Blogger to Watch” (Front Side Bus). 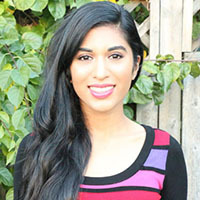 Alicia Samuel holds a Bachelor of Arts degree in Political Science from UTSC. She is currently working towards her MBA at the University of Liverpool. She has 18 years of experience working in information technology. 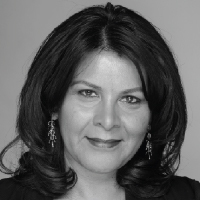 She has worked for high tech companies like IBM and Microsoft, as well as for iconic Canadian retail brands like Canadian Tire and Longo’s. Currently, she is the Director of IT Business Solutions for Longo’s. Alicia is married with two daughters and has a dog named Stitch. For fun, she has connected with a running group and intends to do at least two 5k runs a year. Vijaya Selvaraju is a self-taught cook whose number one passion in life has always been food. 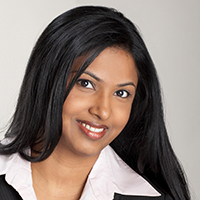 Born in Chennai, India, Vijaya’s family moved to the West African country of Cameroon before settling down in Toronto. As a Culinary Expert & Food Blogger on CTV’s THE MARILYN DENIS SHOW, Vijaya brings a fun and accessible approach to food with an “If I can do it, you can do it to” attitude. Growing up in her family’s South Indian Catering business, Meena’s Fine Foods, Vijaya learned first-hand from her mom the fundamentals of great cooking. Her exposure to world cuisine at a very young age piqued her taste buds, and interest in how to create simple but delicious dishes at home. Vijaya has worked on-camera and behind the scenes on several television productions. She has been featured on CTV, The Comedy Network, MTV, and The Huffington Post to name a few. She was also the host of a children’s travel series, which took her to Thailand and Mexico, where she shared with viewers the cultural and culinary delights of each country. Currently, Vijaya is co-host of Gusto TV’s ONE WORLD KITCHEN, where she shows viewers how to create delicious Indian dishes at home. She also uploads videos weekly to her YouTube™ channel, featuring unique kitchen hacks and recipes, and can be found posting mouthwatering food photos to her Instagram and Twitter accounts. Pethealth Inc.Sean joined Fairfax just prior to the acquisition of Pethealth in November of 2014. Before joining Pethealth Inc., Sean was President & CEO of both Coinamatic Canada Inc. and National Concrete Accessories. Prior to that Sean was President of IKON Canada for 12 years. Christa is currently the Manager of Partnerships at the Ontario Brain Institute where she helps maximize the impact of neuroscience. Christa holds a PhD in Pharmacology from the University of Toronto. She has also completed 2 post-doctoral fellowships, co-founded a contract research organization and participated in research that led to the FDA approval of a medical food for Alzheimer’s disease. Christa leverages these experiences to foster meaningful relationships between researchers, clinicians and industry partners. Juga Surees received her Bachelor of Science from University of Toronto. She has worked for over 20 years at academic and community hospitals. In the last 15 years, she has held various positions within the Nephrology program at Sunnybrook Health Sciences Centre. 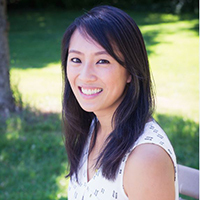 Currently, she is the Database Management Coordinator, where she oversees and manages patient-level data submissions to the Ontario Renal Network (ORN). The multimillion dollar operating cost for the Nephrology program is funded based on the data submitted to ORN. 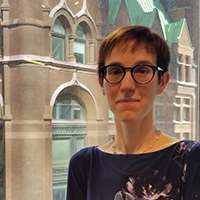 She has been instrumental in rolling out processes for data collection on some of the major Ontario Renal Network initiatives such as but not limited to Palliative Care Person-Centred Decision-Making (PCDM), Glomerulonephritis & Pregnancy and Transplantation reporting. When Juga is not working, she loves spending quality time with her family. 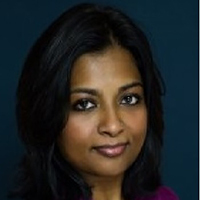 Narmatha Tharmaseelan currently works at AstraZeneca as a Global Study Associate Manager, responsible for clinical research studies globally. She previously worked at Eli Lilly, where she was a Project Manager and led Canada-based clinical research projects over 2 years. 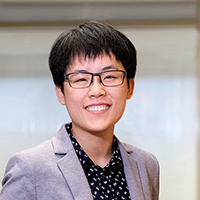 Prior to this, she worked at Sunnybrook Health Science Centre, as a Senior Project Coordinator, and as an Oncology Business Analyst at Sanofi Pasteur. She has also worked as a project associate at Central LHIN ( Local Health Integrated Network) for the Palliative Care Program. Narmatha holds a Master of Public Health from University of Wollongong (Australia) with a focus on Breast Cancer and Alternative Medicine and a BSc (Hons) in Biochemistry and Molecular Biology from Trent University. 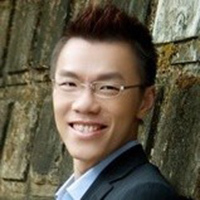 As a manager in the Audit and Accounting group, Guan manages client engagements from the planning stage through to completion; provides value-added advisory services such as IT and process consulting; and coordinates with specialty practice groups at Fuller Landau to ensure client needs are fully met. She is also actively involved in on-boarding, training, and mentoring junior staff. Greg White is an actor, writer, director, and producer from Toronto, Ontario. As an actor he has appeared in films and television series, including The Detail (CTV), Frankie Drake Mysteries (CBC), and next in the upcoming USA Network series Dare Me. Greg is the writer and director of the feature film Separation a psychological thriller starring Canadian Academy nominees Peter Stebbings and Sarah Manninen, currently streaming on Amazon Prime. Greg was awarded the Special Jury Prize at the Dubai International Film Festival for producing the short film The Neighbour, written and directed by the UAE’s first female filmmaker, Nayla Al Khaja. 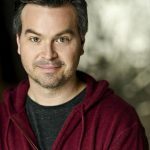 On stage, Greg’s previous work includes We Will Rock You, August: Osage County, Avenue Q, and most recently, the Toronto premiere of Dry Powder, the inaugural production of his new company Evermore Theatre Co. Greg is a former finance professional, a graduate of The University of Toronto, and was awarded the CFA Charter in 2003. He also consults on media production for large financial institutions. Greg is on Twitter and Instagram @whiteymcg. The Honourable Bryon Wilfert served for 26 years of elected political office both as a Municipal Councillor and as Member of Parliament. He served as Junior Minister of the Environment, as well as Shadow Minister for Foreign Affairs and National Defence. He served as Vice President of APPECD Asia Pacific Parliamentarians Environment Conference Development) based in Korea. 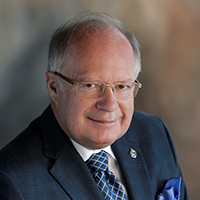 Bryon holds a Master of Arts in Political Economy (U of T), Institute of Corporate Directors designation (ICD.D) (U of T – Rotman School), and holds an Accredited Municipal Clerk and Treasurer (AMCT) in Municipal Administration from St. Lawrence College. He was awarded the Order of the Rising Sun – Gold/Silver Star from His Imperial Majesty and the Prime Minister of Japan for his tireless work on Canada/Japan relations. He holds the Queen’s Gold and Diamond Jubilee Medals. 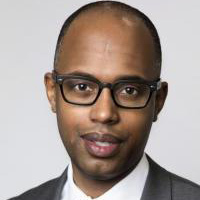 He is Senior Associate at Tactix Government Relations & Public Affairs in Ottawa, Vice President – International Relations with Emission Technologies International Inc., and Honorary Consul General for the Republic of the Union of Myanmar. Chair & Executive Vice President of Canada Trade Link. Bryon serves as Chair of the Canada/Pakistan Business Council and Advisor to the Canada/Vietnam Trade Council. He is a regular contributor to Persian Tribune Magazine. On the College of Electors University of Toronto Past Chair of the Richmond Hill Board of Trade.